After a winter of hitting the books, I completed the CEBS program in March 2017. I couldn’t have been happier to see the “pass” notification on the computer screen after taking my last exam! After a few weeks of elation, celebration and binge-watching entire seasons of my favorite shows, I asked myself, “What’s next?” Employee benefits is a field that is continually changing with ongoing legislative updates, emergent technology, new trends and evolving recommendations for best practices. I want to keep learning and expanding upon my employee benefits knowledge. 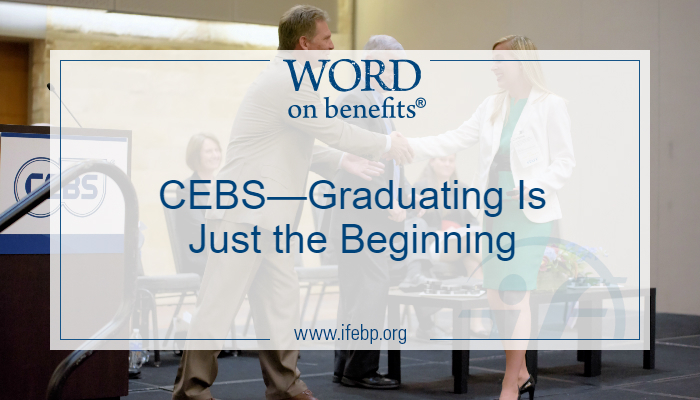 Getting your CEBS designation is just the beginning of your learning journey as a benefits professional. Here are three steps you can take for your professional development in the future. Keep up the momentum and continue to grow your career! Get recognized: Attend your conferment ceremony and the ISCEBS Employee Benefits Symposium. As adults, it’s not very often that we get to graduate. After committing to years of intensive learning and growth, be sure to take this opportunity to attend your conferment ceremony. This is your time to shine and celebrate as a new CEBS! 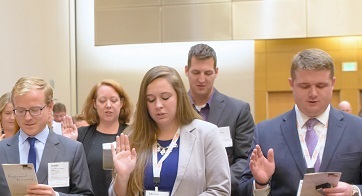 New graduates reciting the CEBS pledge at the 2017 Conferment Ceremony in Denver. I attended my conferment ceremony at the 2017 Symposium in Denver. I will always remember that special moment walking across the stage and being recognized! Afterward, I enjoyed an energizing celebration at the conferment reception, and stayed to attend the Symposium. I was amazed by how much I learned at the Symposium sessions. When I was a college student, sometimes my professors invited experts in their fields to teach a class as guest lecturers. Every Symposium session was like this—an advanced seminar taught by an employee benefits expert! Get connected: Join the ISCEBS and attend a chapter meeting. The International Society of Certified Employee Benefit Specialists (ISCEBS) is your connection to other CEBS graduates and students. Network with your colleagues and learn about benefits trends in your area. Tap into the collective wealth of knowledge of your chapter and take advantage of unique learning opportunities. My goal is to attend a chapter meeting in person this year. I’m looking forward to meeting my colleagues in the Milwaukee Chapter! Get advanced: Sign up for the ISCEBS annual continuing education examination. Employee benefits is a multidisciplinary field that relies on the expertise of professionals from a variety of backgrounds—the ISCEBS Fellowship program, along with the required continuing education exam with health and retirement tracks, is a great way to stay current and gain an even higher level of recognition as a leader in the industry. Preparing for this exam keeps you informed in a constantly changing environment and takes your knowledge to the next level. 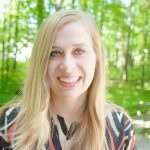 I passed the exam and became an ISCEBS Fellow in June. I see news stories all the time that relate to the topics I studied while preparing for the exam! What will come next in the employee benefits field? Stay tuned for the 2019 continuing education courses to see what they’ll include!